If you're just starting out with Facebook ads, I'm sure you have a ton of questions. Most of us do, especially when it comes to how much Facebook advertising costs. There's no predefined amount that you have to spend on Facebook ads. You can pay anywhere from $5 a day to $100k a week. The choice is yours. You basically tell Facebook how much you want to spend on advertising and they try to get you as many results as possible for that amount. Since there's no predefined amount you have to spend on Facebook ads, the amount you spend on advertising will vary depending on many factors. In this guide, we will go over some important factors that affect the cost of your Facebook ads. There are ultimately two ways to define and know the cost of your ads - your budget and your bid. Facebook defines a budget as the amount of money you want to spend to show people your ads. It also controls the overall amount you pay for a single ad set or campaign. Daily Budget: the average amount you're willing to spend on an ad set or campaign every day. Lifetime Budget: Amount you're willing to spend over the entire run-time of your ad set or campaign. Now, let's break it down and talk about what Facebook means when they talk about a bid. Facebook describes a bid as a number representing how much you value or willing to pay for an optimization event from someone in your target audience. It also tells Facebook how to bid for you in ad auctions. When you select your bid amount, you can either make the process automatic or manual. If you are unsure what bid, Facebook can automatically bid for you with the intent to spend your budget evenly throughout your ad's runtime. Bidding options profoundly affect your Facebook ads costs, because you are choosing what you want to pay for. If you're looking to get the most value out of your budget, use the lowest cost bid strategy or if you want to have a stable average cost per optimization event, use the target cost bid strategy. Lowest Cost: (get the most efficient use of your budget) This tells Facebook to bid with the goal of getting you the lowest possible cost per optimization event while also spending your entire budget by the end of the day or your ad set's/campaigns schedule. Target Cost: (have a stable average cost) This tells Facebook to bid with the goal of achieving an average cost per optimization event as close to your target cost as possible. Cost per click (CPC): You pay every time someone clicks on your ad. Impressions (CPM): You pay an amount for every 1,000 people who see your ad. Cost per action/conversion (CPA): You optimize for a specific action to be taken (a conversion). Cost per Like (CPL): you pay every time somebody likes your Facebook page. One of the biggest mistakes people make when they are getting started with Facebook ads is mis-targeting their audience. You don't want to push your ads to everyone - you only want to show your ads to people who are similar to your most ideal customer and show interest in what products and services you have to offer. The more relevant your audience, the lower the cost. If the audience that you want to target is in high demand, you’ll end up paying more for your ads that are shown to them. If your audience isn’t being targeted by a lot of other companies, you’ll end up paying less. The industry you’re in, and the product(s) you’re selling can also affect how much you pay. 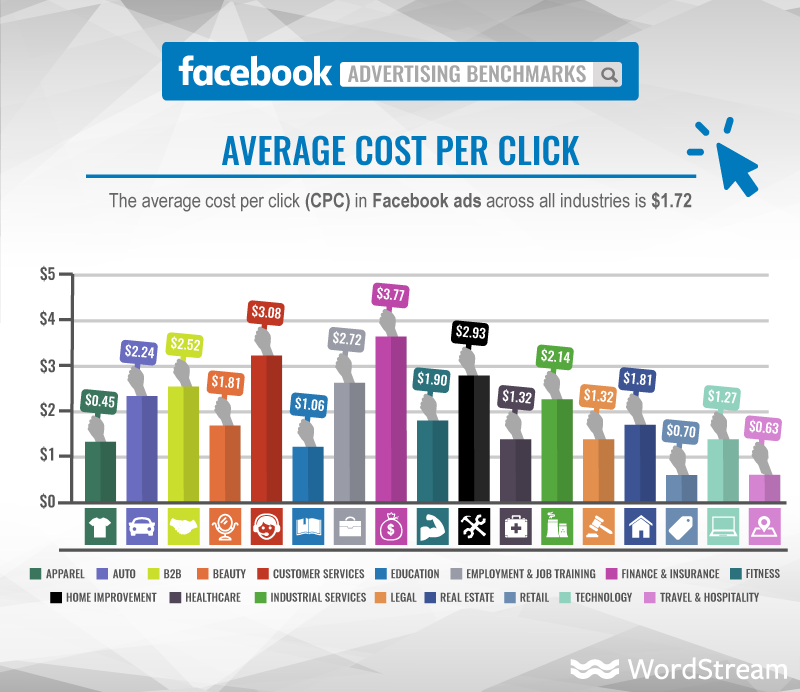 Wordstream did an excellent job of displaying the average cost per click across different industries. Costs can vary depending on whether you are advertising to people (B2C) or businesses (B2B). Typically B2C is more expensive than B2B. Sometimes your audience will be more expensive than others but don't sacrifice your ideal people (who are most likely to convert) for the cheapest cost. Sure those leads may be more affordable, but that doesn't mean they will take action and convert into sales. You want to find the people who are an ideal fit for your business, even if that means you have to spend more money on the front end. The quality of your ads is extremely vital to how much your ads perform. High quality ads tend to get more positive reactions and less negative feedback. You will also win more auctions and pay less for your ads. You want to create ads that people will engage with. In the Facebook Ads Manager, you can check the quality of your ad and your ads relevance score. Your relevance score will help determine how well your ad is performing. The better relevance score, the lower your Facebook costs will be. In the Facebook ads platform, you have different goals and objectives to choose from. Your ad cost can vary depending on what objectives or goals you choose. Your ads are shown to different audiences depending on what outcome you want. Choosing the right ad objective is the first step in making sure your ad cost stays low. This is critical to not only keeping the cost of your Facebook ad(s) down but also the overall success of your ad campaigns. Awareness: Generate top-of-mind awareness and interest in your product or service. Consideration: Ads with the Consideration objective get people to start thinking about your business, product, or service, and look for more information about it. In this type of ad, you are asking people to take some kind of call-to-action. Conversions: Objectives that encourages people to use or purchase your product or service. 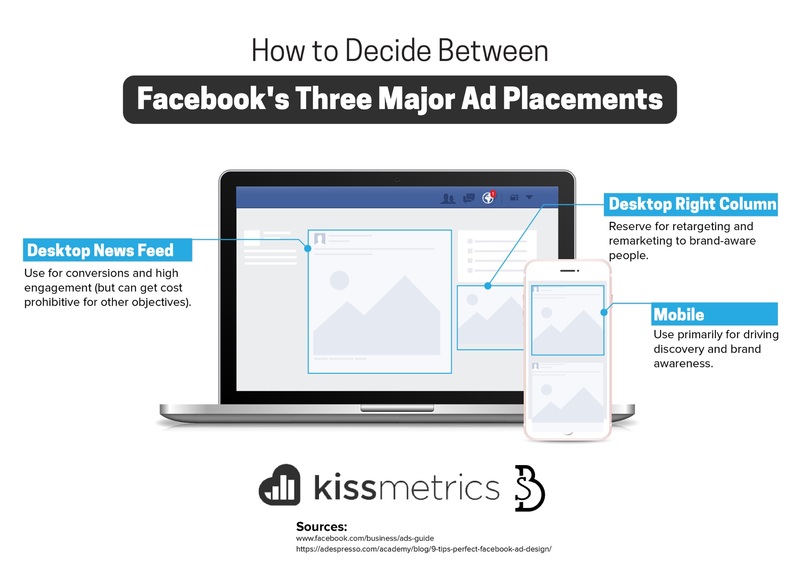 Below are a few examples to help guide you on how to pick the right advertising objective on Facebook that best aligns with your business goals. Goal: I want to find potential customers. Conversions: Create ads that increase conversions and encourage people to visit your website. Lead Generation: Create ads that help you collect leads and information for your business. You could create an ad that's designed to get sign-ups for a newsletter. This will help you gain information like name, email, demographics, etc. 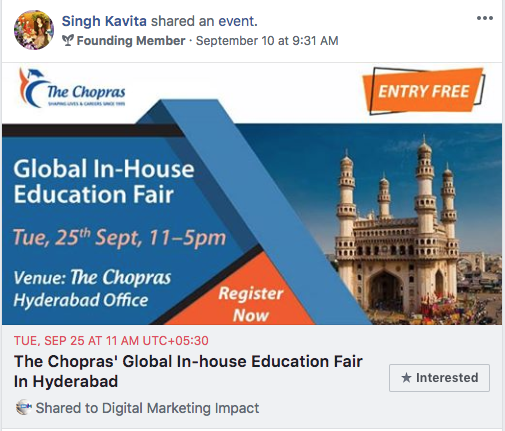 Engagement: Create ads that promote and get more people to attend your events. Some events could be webinars, live events, trainings, etc. Goal: I want to drive sales for my products or services. Here you want to get people to claim your offer. Create ads with a coupon, discount or other special deals, or you could also create ads that help you connect with potential customers. You want to give them a reason to make a purchase and connect with them on some level depending on what stage they are in the buyers' journey or to boost them down your sales funnel to make a purchase. Depending on where you choose to place your ads can affect your ad cost. Make sure that your audience uses and likes whatever placement you decide. You don't want to pay to place ads where your audience will never see them. There are times throughout the year that are busier than others, and you are more likely to pay higher costs during those times. Prices rise and fall depending on the behaviors of others and how much competition there is. Even though costs are higher during these times that doesn't mean you shouldn't advertise, you just have to factor in the increased cost. As you can see there is no set amount for how much Facebook ads cost. It's your decision how much you spend. Instead of focusing on how much Facebook advertising will cost, try focusing on profitability and ROI. Using Facebook ads is one of the most profitable ways to market your business. With Facebook you can get more high-quality conversions, clicks, website viewers, etc without paying through the roof for them.